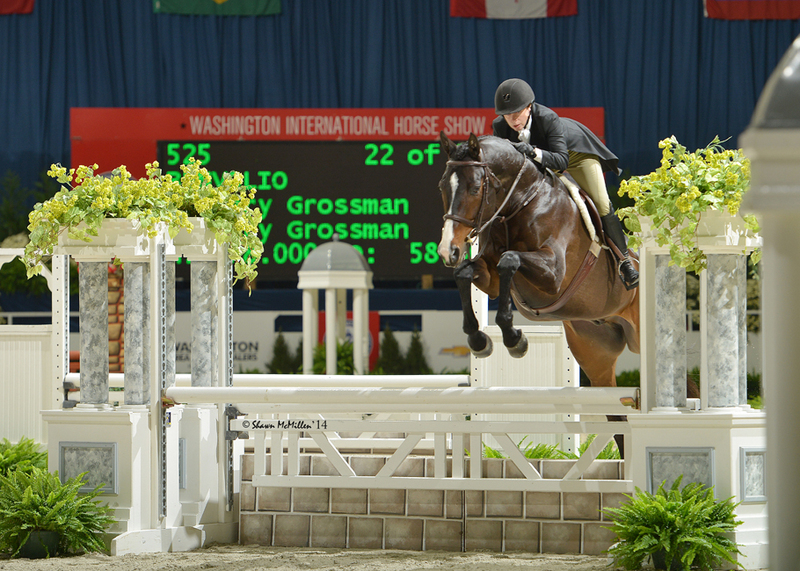 Washington, DC, March 16, 2015 – The qualifying period for the 2015 Washington International Horse Show (WIHS) is currently underway, and the nation’s top horses and riders are gaining points early this season competing in winter circuits around the country. WIHS offers popular year-end championships for junior and pony equitation riders as well as adult and children's hunter and jumper competitors. 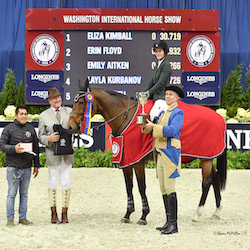 The 57th Annual Washington International Horse Show returns to Verizon Center in downtown Washington, DC, October 20-25, 2015. Horses and riders compete all year to qualify for the WIHS Championship Finals, including the $10,000 WIHS Children's Hunter Championship, $10,000 WIHS Children's Jumper Championship, $10,000 WIHS Adult Hunter Championship, $10,000 WIHS Adult Jumper Championship, WIHS Equitation Finals, and WIHS Pony Equitation Finals. Although you do not have to be a WIHS member to compete in the qualifying classes, competitors must be WIHS members in order for their points to count towards the Finals. Sign up today at www.wihs.org/membership to become a WIHS member and start earning points. The qualifying period is September 1, 2014 through August 31, 2015. Victoria Colvin of Loxahatchee, FL, currently leads the WIHS Equitation East Coast standings with 2,168 points. Ashton Alexander of Ocala, FL, sits second with 1,828 points, and Thomas O’Mara, Jr. of Rumson, NJ, has 1,816 points. The top rider on the West Coast standings is Alexandra Ladove of Rancho Santa Fe, CA, with 1,160 points. Raegan Rast of Stillwell, KS, stands second with 964 points and Morgan Dickerson of Pasadena, CA, is third with 816 points. In the WIHS Pony Equitation standings, Jordan Cobb of Austin, TX, has 416 points to lead off the year. Augusta D. Iwasaki of Calabasas, CA, is second with 372 points, and Sloan Hopson of Houston, TX, is third with 352 points. In the Children's Hunter standings, Czech Mate and Carly Martin of South Barrington, IL, have the lead with 818 points. Heartbreaker and Shaye E. Coe of Versailles, KY, have 744 points for second place in the standings, and Journey to the Top and Brianna Laheta of Wayne, IL, have 652 points in third. Benvolio and Mary Grossman of Burlington, WI, currently lead the Adult Hunter standings with 730 points. Duet and Susan Schmitt of Oconomowoc, WI, have 554 points, and Overseas and Mindy Wurzburg of Memphis, TN, sit third with 544 points. In the Children's Jumper standings division, Bilbo Baggins and Anna Claire Smith of Atlanta, GA, are well on their way to qualifying for the championship with 2,361 points. Alanda and Sienna Partipilo of Chicago, IL, have 1,916 points in second place. Thunderball and Anderson F. Wagner of Wellington, FL, are currently third with 1,723 points. The Adult Jumpers are also earning points to qualify for their championship in October. Bonapart and Lindsey Tomeu of Wellington, FL, have 4,165 points to lead the division. Wup L and Maxine (Star) Schatten of Franklin, TN, sit second with 3,002 points. Redefin and Dean Dignelli of Katonah, NY, have 2,370 points in the third position. Don't miss your chance to qualify for the WIHS Championships! WIHS looks forward to hosting the best horses and riders from around the nation in 2015 and encourages all riders to continue their drive to qualify.